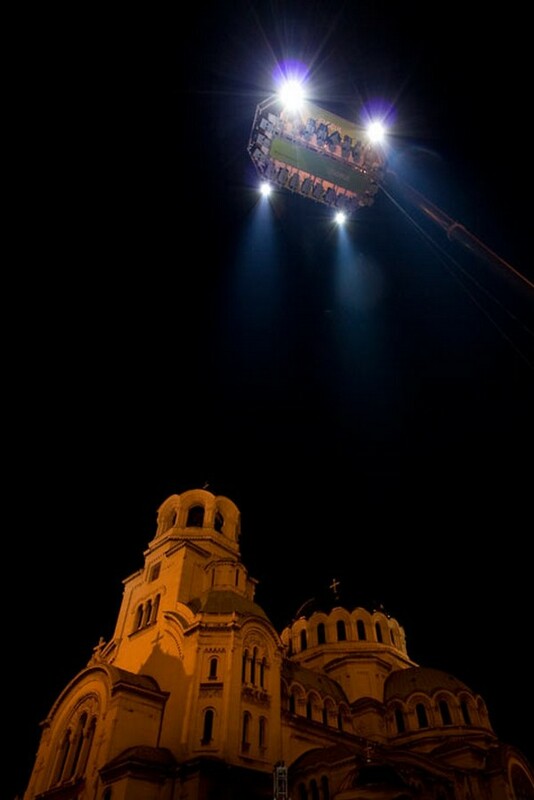 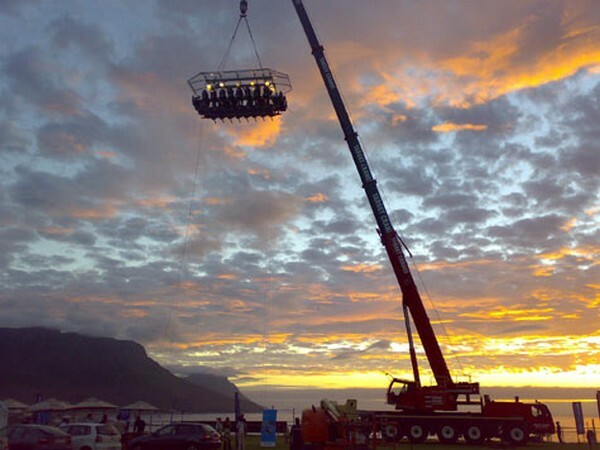 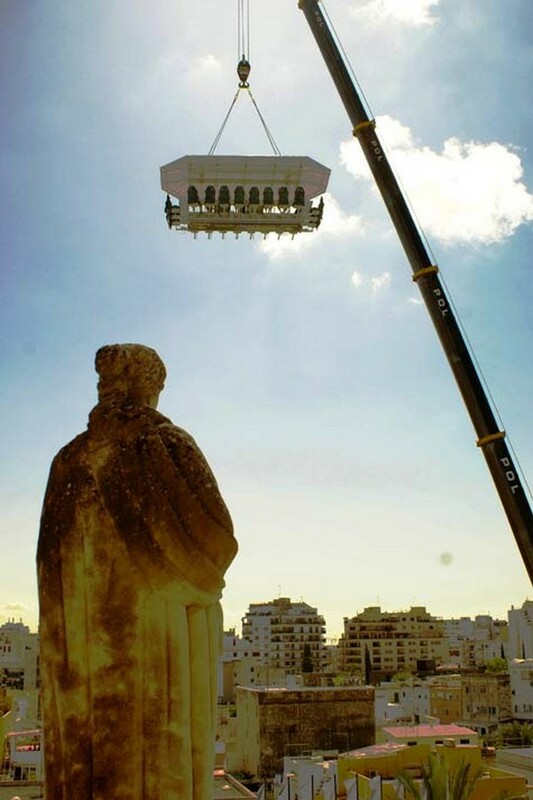 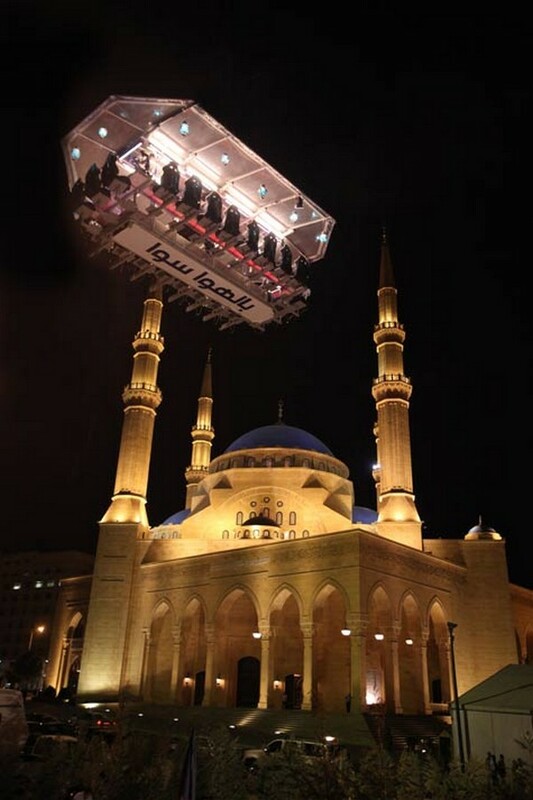 Dinner in the sky is an intriguing dining concept operating in various cities around the world. 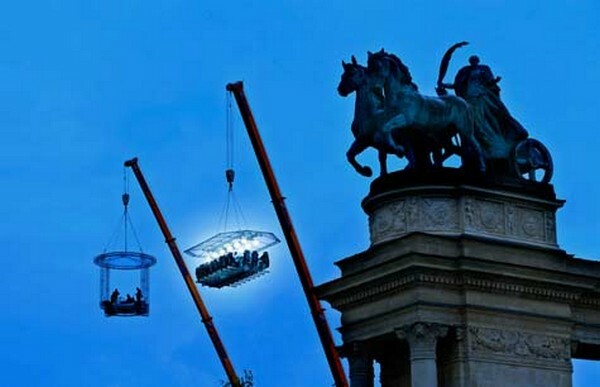 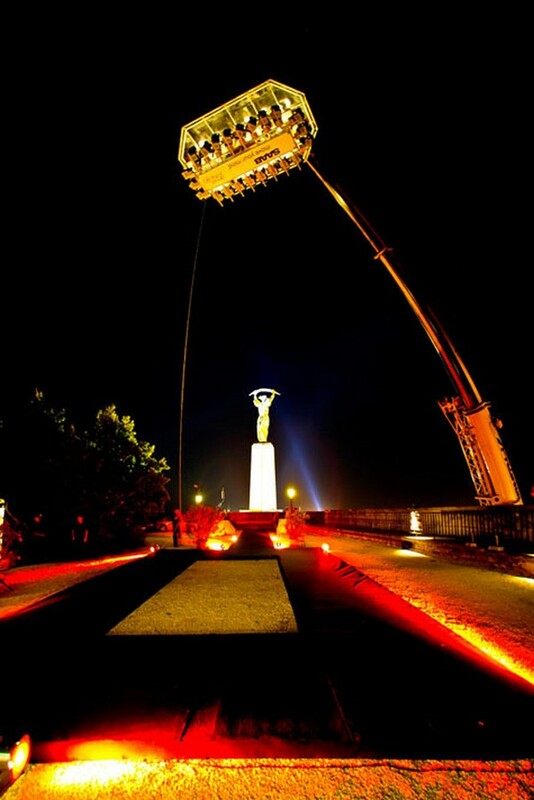 The idea of a “suspended” restaurant came from David Ghysels, Belgium, who created a unique dining “custom” which uses a crane to hold its dinners, as well as the table and waiters 50 meters into the air. 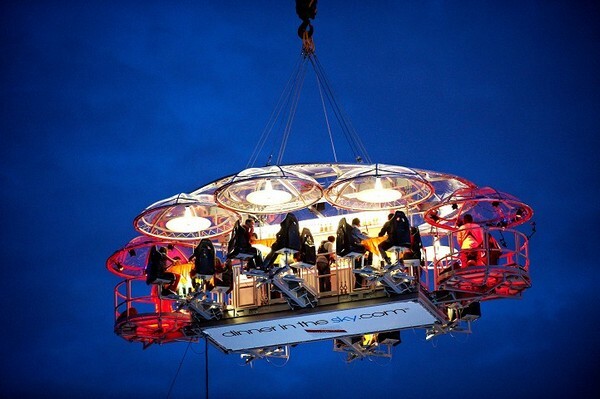 Dinner in the sky is available for a session of 8 hours and can be divided or personalized in relation to customer needs. 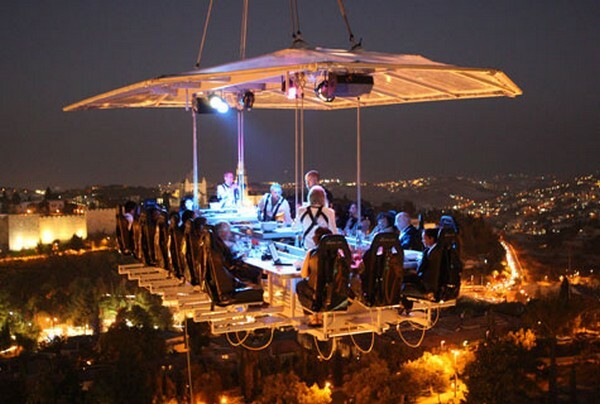 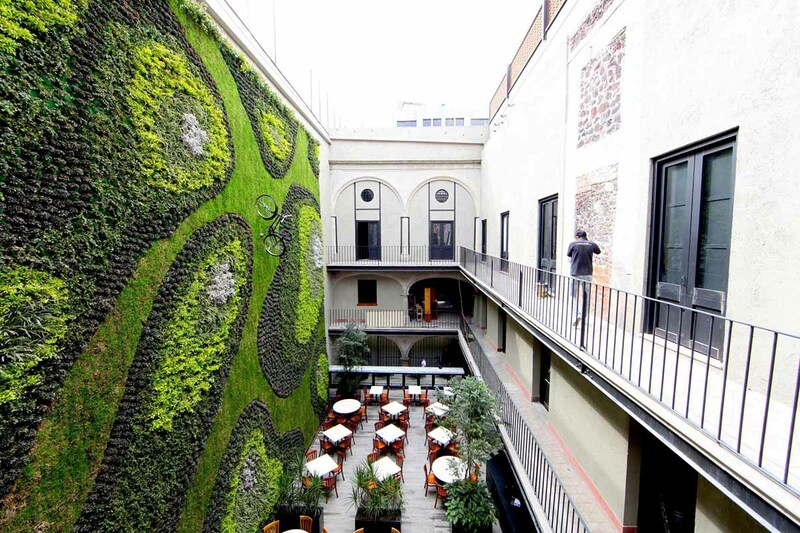 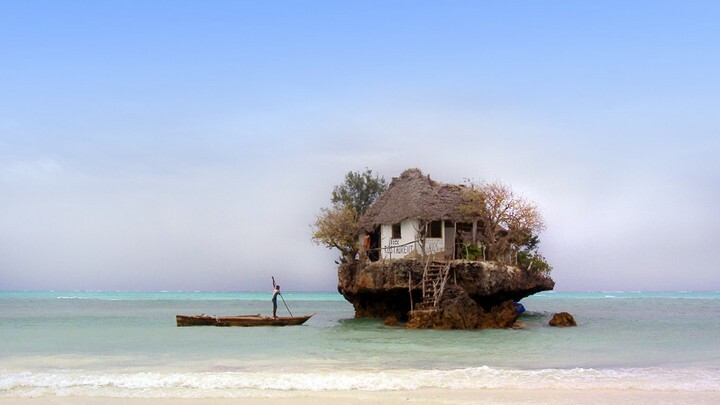 It is especially developed for those who want to transform an ordinary meal or meeting into a unique experience, with a wonderful panorama of the sights above the table. 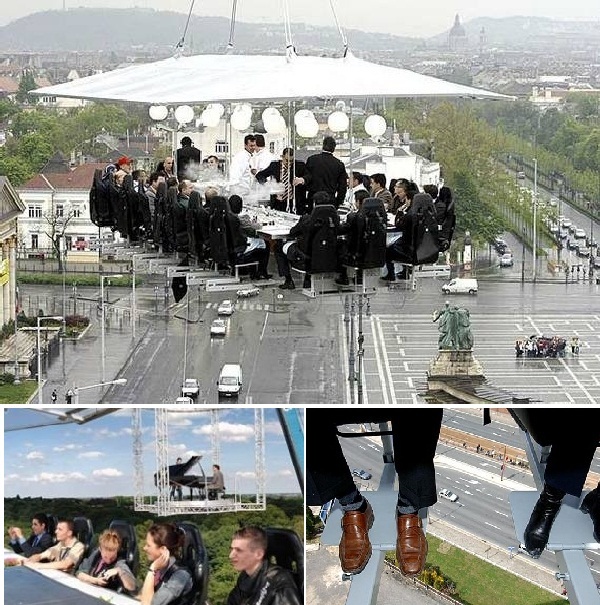 Guests are strapped into leather seats at the table 40 meters, or 130 feet, in the air while waiters and waitresses stand in an aisle at the center of the table. 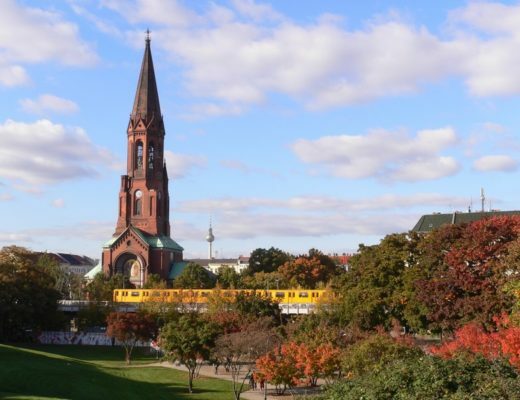 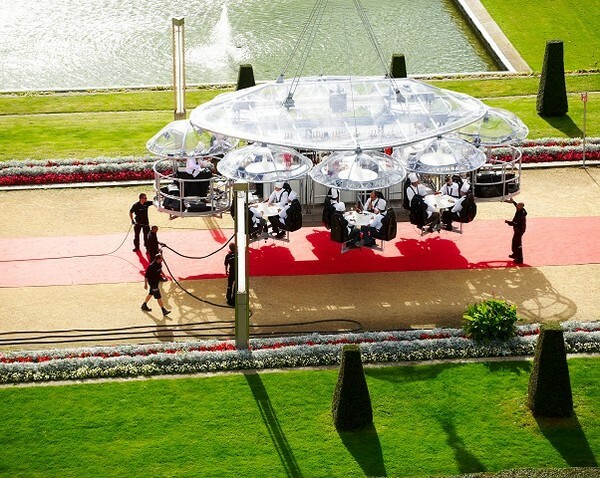 The company arranges for access to on-ground facilities and handles any necessary permits.Cost depends on the location, the menu, and a list of variables that stretch from putting an opera singer in the center of the table to suspending a platform from a second crane allowing a band to circle diners as they eat. 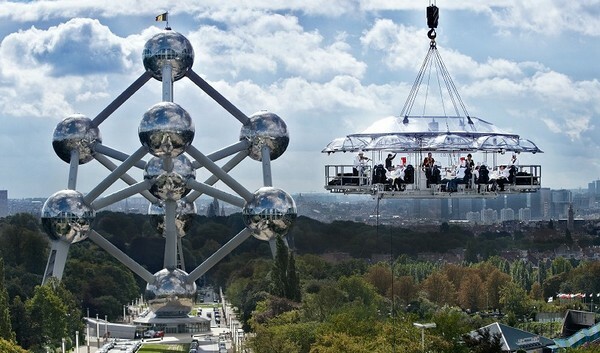 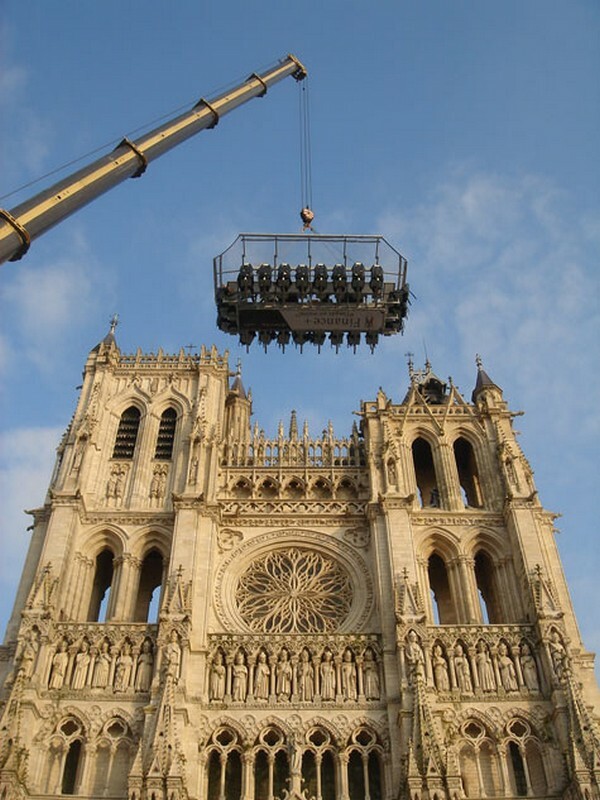 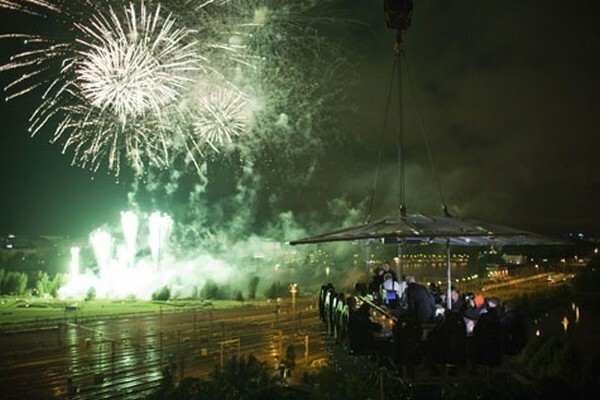 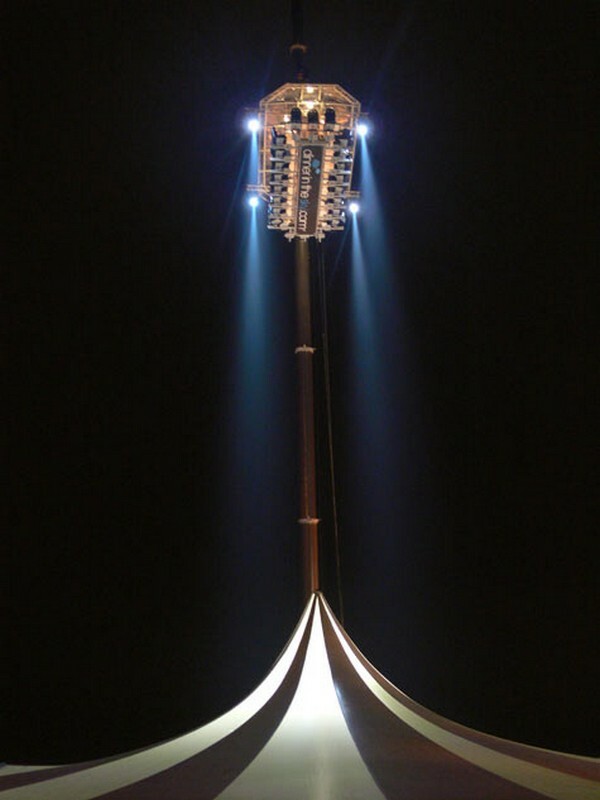 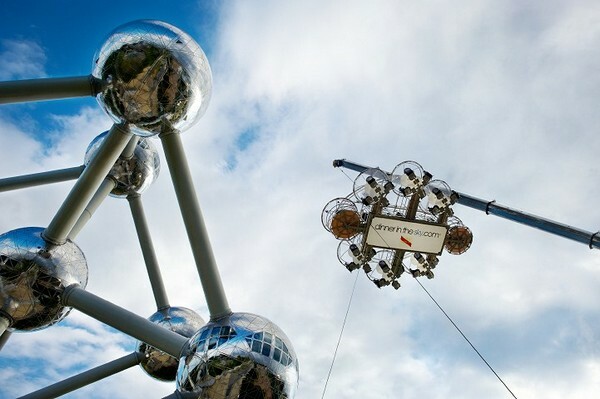 A Dinner in the Sky in Belgium costs around €15,000; in Las Vegas, it can run $35,000. 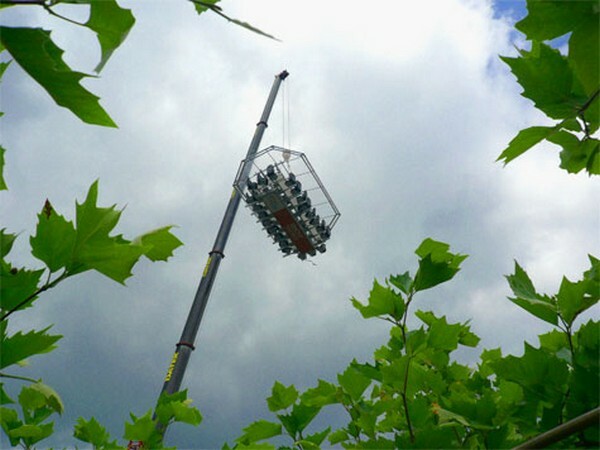 More on dinnerinthesky.com.